Although agricultural losses from the March 13-14 flooding in Boone County have not yet been compiled, they are expected to be substantial. The losses include livestock, land erosion and silted-in farm ground that may not grow crops this year. Nebraska’s statewide agricultural losses could approach $1 billion, according to Nebraska Farm Bureau President Steve Nelson. 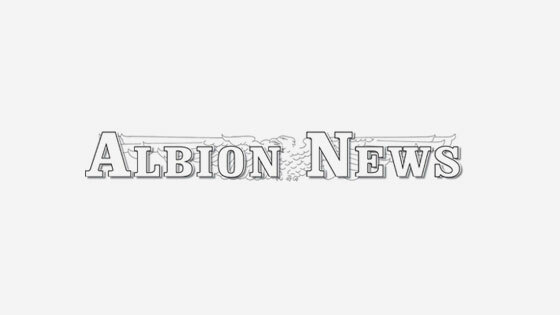 Assistance with some supplies such as feed, bedding and some animal health and fencing supplies is available in the area south of Albion Livestock Market, Inc.
Livestock assistance of this type was also available at Verdigre, Columbus and Norfolk. During a conference call last Thursday, March 21, Nebraska Department of Agriculture Director Steve Wellman said the preliminary costs are sitting at a whopping $400 million for the livestock sector right now. Additionally, Wellman said there’s an estimated $440 million in crop loss for 2019. These figures could still change, Wellman said. At this time, there are no estimates for county level losses. 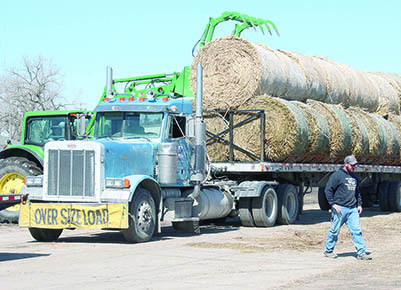 Wellman said another obstacle for producers is getting livestock delivered. At this time, he reminded that farmers and ranchers are in need of fencing and feed supplies. Wellman said he is unsure when national funding will be available. Wellman said federal and state partners will work to match needs with the opportunities as quickly as possible in order to assist those in need during this time. Resources and hotlines can be found online at http://www.nebraska.gov/. Some highway repair from flood damage was underway in the area this week. 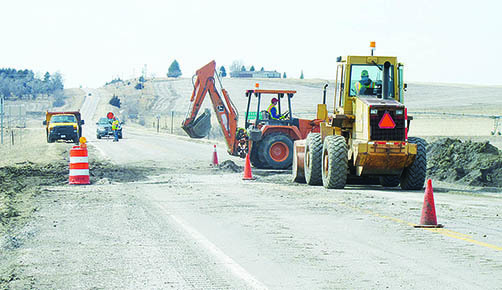 Highway repairs were underway on Highway 14 just north of Fullerton, and crews were also working on Highway 56 west of Cedar Rapids last week. The Albion subdivision of Nebraska Central Railroad sustained 10 miles of major washouts, four bridges with major damage and one bridge that will need to be rebuilt. 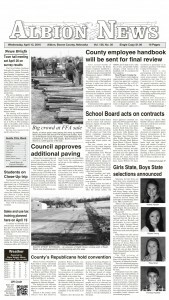 The forecasted reopening date for the Columbus-to-Albion subdivision is May 1. The lack of rail service has created some transportation issues for grain elevators and other facilities in Boone County. At the Valero ethanol plant in Albion, a thorough assessment of plant operations and equipment was completed. The plant is making preparations to resume operations, working closely with business partners and evaluating transportation and logistics infrastructure needed to support the restart, according to Lillian Riojas, executive director of media relations with Valero.